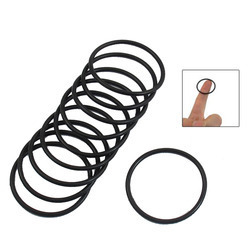 Offering you a complete choice of products which include cr coil slitter spacer, rubber bushes, rubber cover, rubber stopper, slitting cutter rubber ring and butterfly valve sealing ring. 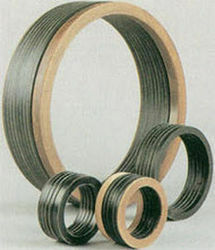 We are manufacturing rubber spacers for HR CR/SS slitting line as per customer requirement. A Butterfly valve is a quarter-turn rotational motion valve, that is used to stop, regulate, and start flow. Butterfly valves are easy and fast to open. A 90° rotation of the handle provides a complete closure or opening of the valve. Large Butterfly valves are usually equipped with a so-called gearbox, where the handwheel by gears is connected to the stem. This simplifies the operation of the valve, but at the expense of speed. 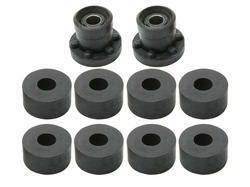 We are able to fulfil various application requirements of our patrons by our excellent grade Unique Star Couplings. The provided couplings are manufactured with due diligence by making consistent improvisation of innovative techniques in adherence with the international quality standards.The provided couplings are widely used to provide excellent joint to various machines. 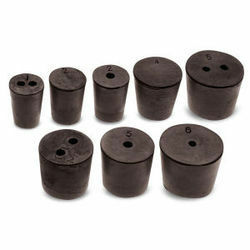 Tested on various parameters of quality, these couplings are available in various specifications. Moreover, clients can avail these Unique Star Couplings at highly competitive rates to the clients. we are engaged in manufacturing and supplying a wide range of Unique Star Couplings, which are the most popular and widely used couplings. These couplings are generally having two cast iron valves having jaws protruding out of the faces which interlock with each other through a elastomeric cushioning membrane called the "Spider" or "Star" various designs in above concepts are developed. 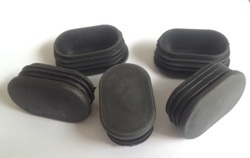 Butyl rubber (IIR), also called isobutylene-isoprene rubber, a synthetic rubber produced by copolymerizing isobutylene with small amounts of isoprene. 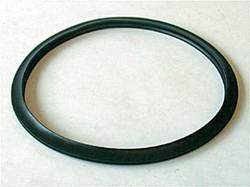 Valued for its chemical inertness, impermeability to gases, and weatherability, butyl rubber is employed in the inner linings of automobile tires and in other specialty applications. 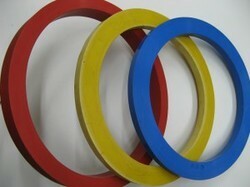 Our valued customers can purchase from us an extensive assortment of Rcc Spun Pipe Joint Rubber Ring. 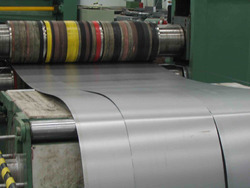 These products are manufactured by taking optimum quality EPDM, SBR, NBR, Nitrile, Neoprene and Natural, according to the industry accepted models. 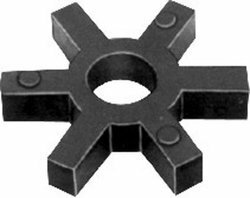 These products are highly demanded across the industry owing to their high strength and accurate size. In addition, we offer this product in the market at a very affordable price.